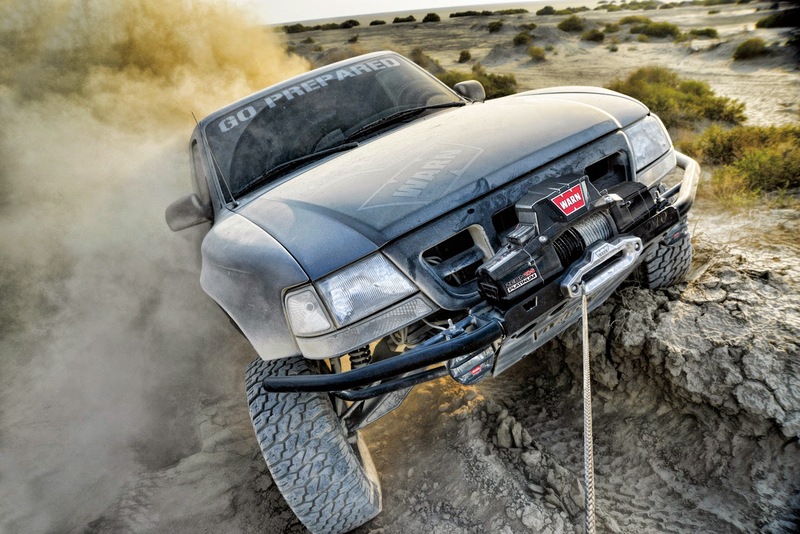 Clackamas, OR (2/19/15) –- Warn Industries ZEON Platinum™ the toughest, most technologically advanced truck and SUV winch on the trail today – is now available through WARN’s extensive worldwide dealer network. It is built for those who push the limits – with double the durability, 20% faster line speed, and extreme IP68-rated waterproofing. Key features include the world’s first remote controlled clutch, and the all-new Advanced Wireless Remote. ZEON 10 Platinum, and ZEON 12 Platinum winches deliver 10,000 and 12,000 lb. (4536 and 5440 kg) capacities, and come with a steel rope and roller fairlead. ZEON 10-S Platinum features WARN® Spydura® Synthetic rope and a polished aluminum hawse fairlead. The ZEON Platinum Advanced Wireless Remote is a sophisticated smart device. It controls the operation of the winch, the clutch and much more. The winch’s manually operated clutch lever has been eliminated, putting the clutch right in operators’ hands, not on the winch. In fact, ZEON Platinum is the only winch today with this Advanced Remote Controlled Clutch. The Advanced Wireless Remote also controls up to two accessories––users can tie in lights, an air compressor, or other auxiliary gear. It also delivers instant feedback on the winch motor temperature and vehicle battery charge level. ZEON Platinum comes equipped with a unique High-Performance Package that features a powerful new motor for efficient amp draw and fast line speed, stronger gear train, aluminum drum, and a steel sleeve-in-drum brake design. Durability has doubled, and line speed is increased by 20%––up to 44 feet per minute, making this the perfect tool for driver-assisted vehicle recovery. Symmetrical design helps ZEON Platinum match current vehicle styling. The black satin finish and stainless steel hardware resist corrosion, and a robust aluminum housing adds strength and durability. The innovative convertible control pack allows flexibility to remove the pack and mount it separately from the winch. It can be mounted in tight spaces, or fit into a low-profile look. Like all WARN truck and SUV winches, ZEON Platinum comes with a limited lifetime warranty on mechanical parts, and a one-year warranty on electrical components (U.S. and Canada only) backed by a global service network. For more information on the full line of WARN products, please go to www.warn.com. Join our Facebook page for the most current WARN information and to see vehicles sporting the WARN Brand www.facebook.com/WARNfans.